The overall Canadian housing market remains vulnerable despite some easing of overvaluation in Toronto and Victoria. 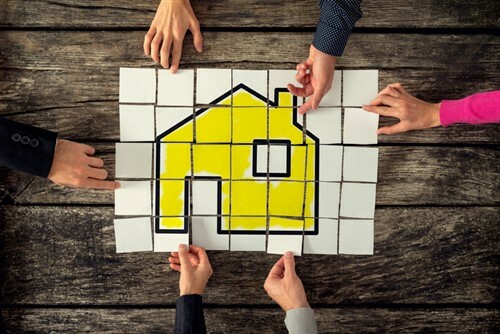 CMHC’s latest Housing Market Assessment warns that, for the tenth consecutive quarter, there are concerning issues in many Canadian markets. Overvaluation for Canada overall was detected in the third quarter of 2018. “Nationally, overheating and overbuilding remain low. It should also be noted that price acceleration may be downgraded in upcoming reports which would lead to Canada's overall vulnerability moving from high to moderate, provided other HMA factors do not change," said CMHC chief economist Bob Duggan. For Vancouver, Victoria, Toronto, and Hamilton, overvaluation has eased due to moderation of prices – and for Toronto and Victoria the risk has shifted from high to moderate - but overall vulnerability in these four markets remains high. "In the GTA, overvaluation has changed from high to moderate due to the gaps between actual house prices and price levels estimated by fundamentals narrowing,” explained Dana Senagama, CMHC’s Manager, Market Analysis, Market Insights (Central). “Year-over-year growth in the average house price and real personal disposable income was modest in the third quarter of 2018 and was outpaced by economic and demographic factors, such as full-time employment and the young-adult population, which grew by 3.68 %." Despite some easing in the market, Metro Vancouver is still considered to have signs of overvaluation as home prices are high relative to local economic fundamentals. CMHC Senior Analyst, Economics, Market Insights (West). Hamilton has signs of overvaluation but these have moderated. However, there are still signals of overheating and price acceleration. Immigration is driving housing demand though, especially among younger buyers. There are some moderate signs of vulnerability in the Calgary and Edmonton markets, but the HMA highlights that rental apartment vacancies have reduced, easing concerns of overbuilding. 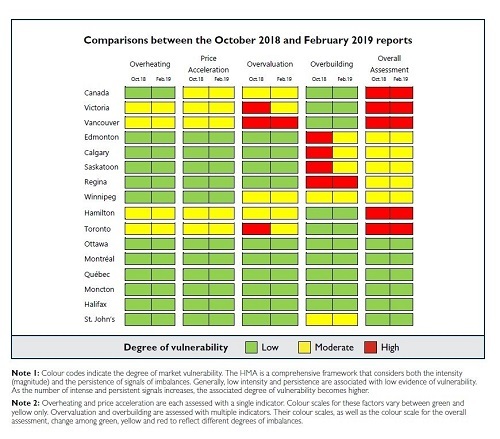 Saskatoon, Regina, and Winnipeg all continued to show a moderate degree of overall vulnerability in their respective markets; while Ottawa, Montréal, Québec City, Moncton, Halifax, and St. John's all show a low degree of vulnerability.